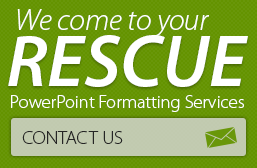 Buy and Download PowerPoint Shape Diagrams from our stores. 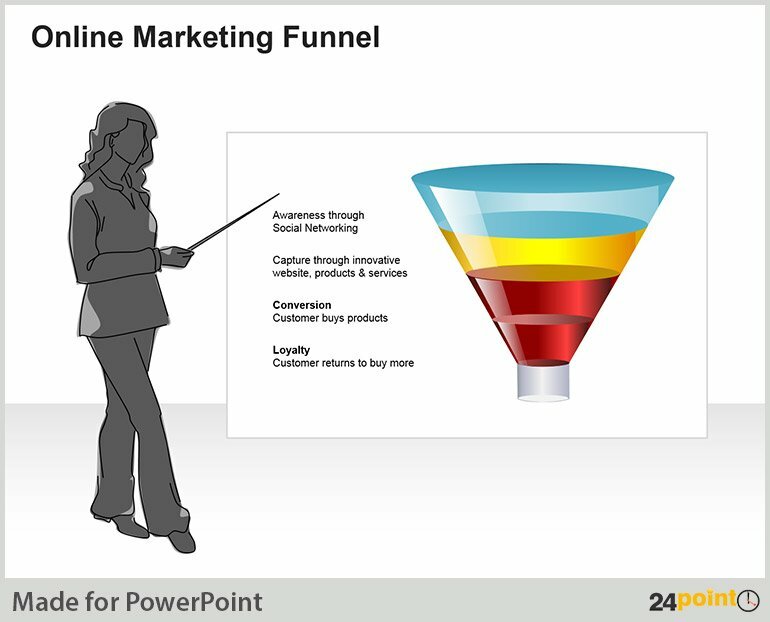 A funnel channels matter into a focused stream that results in an outcome. This is true both in the physical world and on the page or, in the case of presentations, on screen. 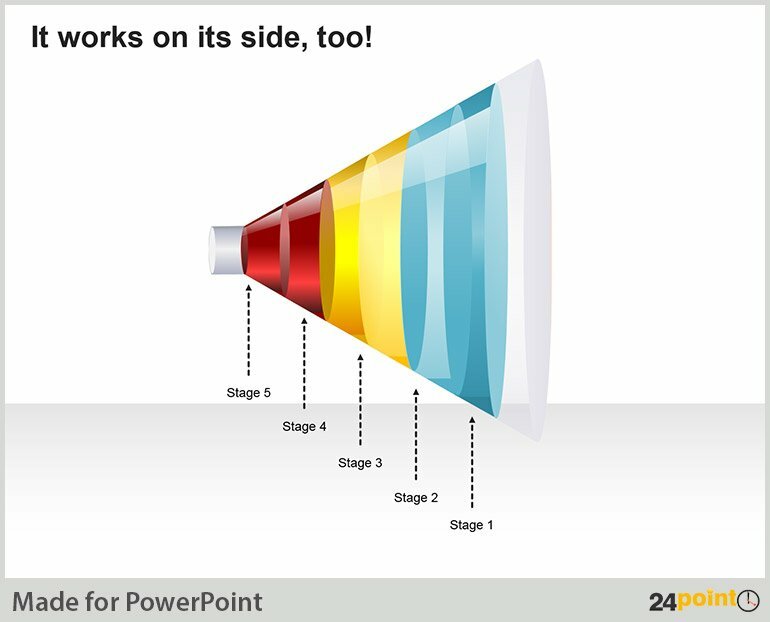 24point0’s easily modifiable Funnel Diagram for PPTs is made of a number of colorful bands can be used to represent any kind of multi-stage, hierarchical or linearly progressive scenarios. 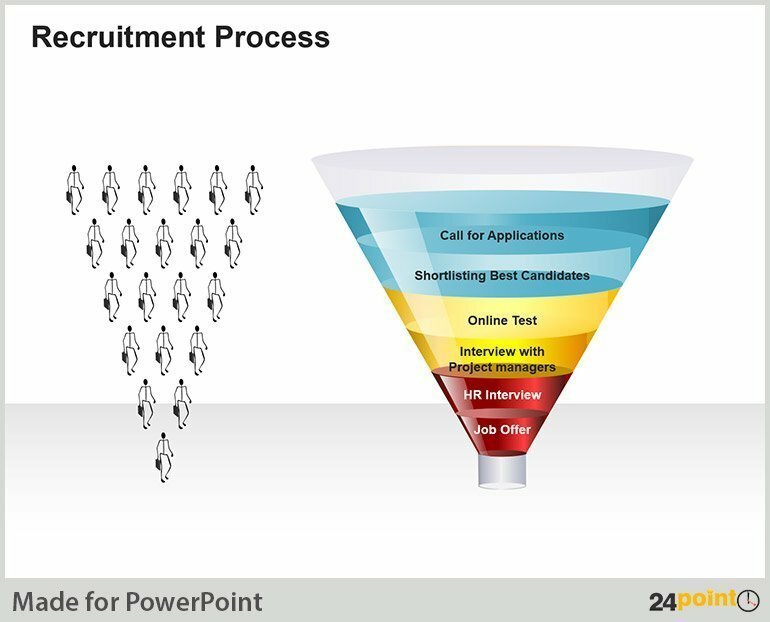 The Funnel Diagram has often been used in business presentations to illustrate sales and marketing and recruitment processes. It need not be limited to these alone as its stepped structure can be used to represent any kind of linearly progressive concept with a definite end result. The various bands in the funnel can help instantly communicate the end product of a process to the audience along with its integral stages. You can add text to the bands, labeling each stage in the process or naming a project milestone. The stick figures in the example below are from 24point0‘s deck of Business Stick Figures, which can add just the right amount of playfulness to a presentation. Think the diagram can do with some added elements? Then put in one of 24point0’s Business Women illustrations. Don’t like the colors? They can be changed too! 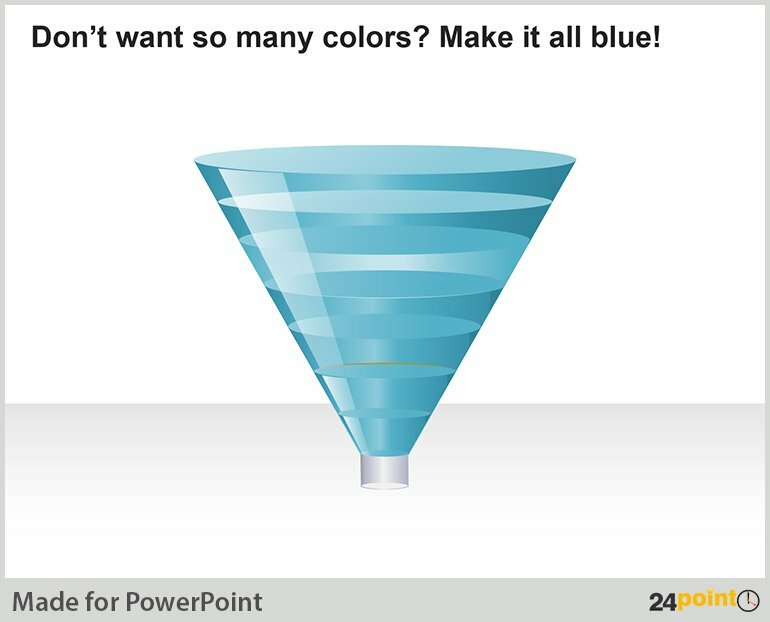 Simply select the required band and go to the color palette in PowerPoint to pick a color more suited to your presentation template. 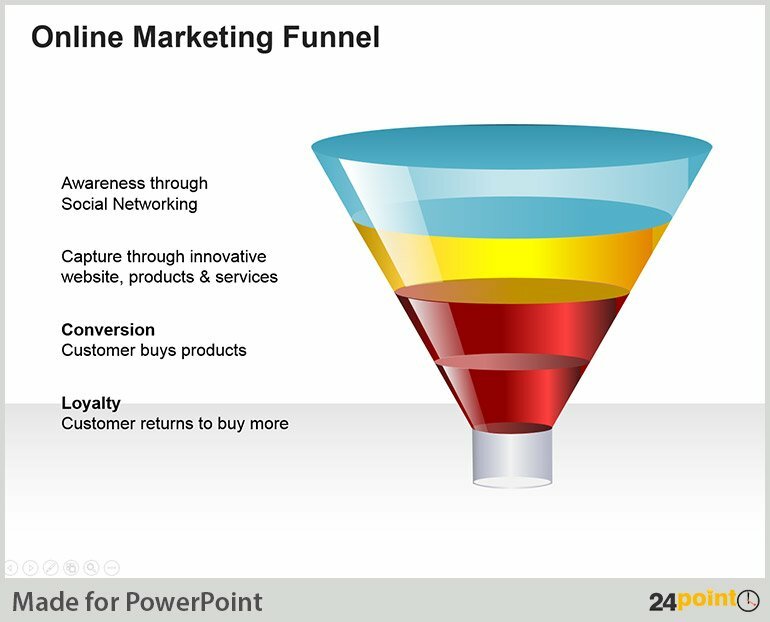 Turn the funnel around and you have a horn that progresses sideways. Put in text vertically if it’s just one word on each band. 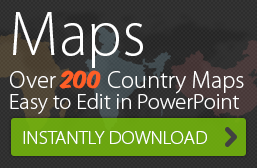 Need a new and novel way to represent survey results that don’t go the pie chart route? 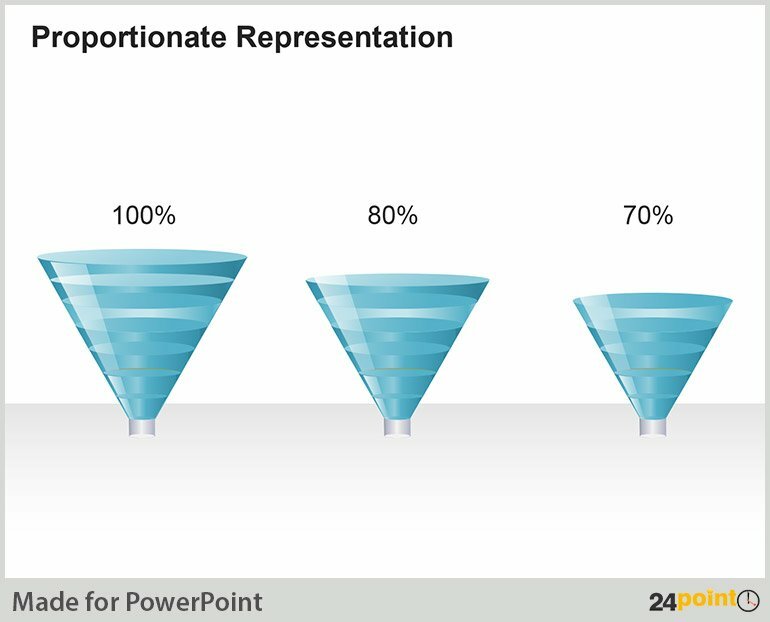 Then use the funnel diagram to show proportions by adding or subtracting levels. 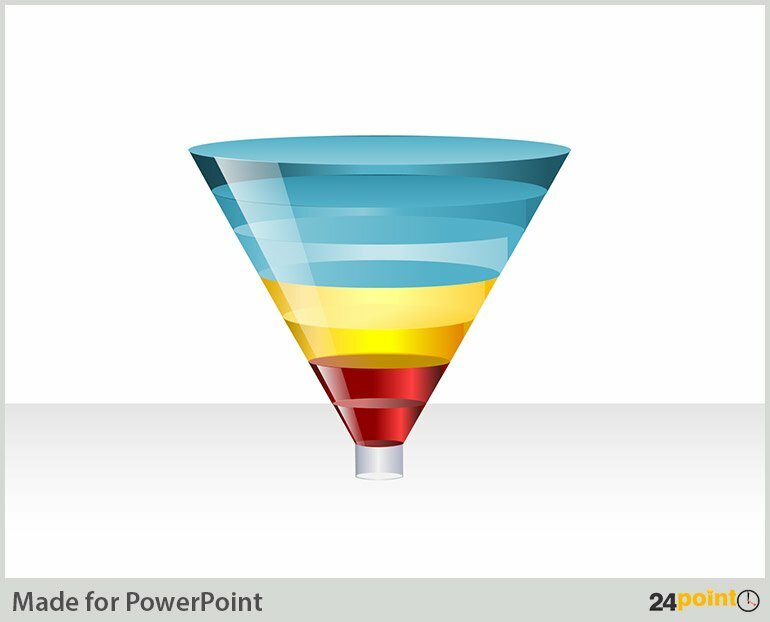 The Funnel Diagram from 24point0 is a versatile, professionally designed PPT tool that can be used in business, educational or scientific presentations. The uses to which this smart diagram can be applied is limited only by your imagination! Buy 24point0’s Funnel Diagram today!